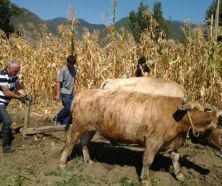 TBILISI, DFWatch–A Council of Europe official is in despair over the way Georgian leaders have handled the drafting of a new constitution, calling the debacle a ‘crisis’. “I’m disappointed and become more and more disappointed for every hour,” head of the Venice Commission Gianni Buquicchio said in front of journalists on Thursday in Georgia’s second city Batumi. The commission president had met with representatives of the ruling party and the opposition, as well as the president and was disappointed by the lack of consensus among political leaders about the drafting of a new constitution. 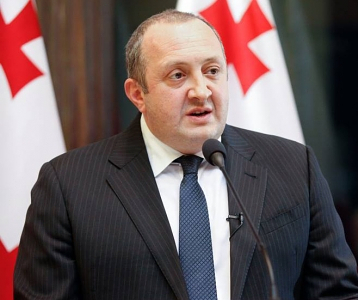 “Unfortunately, you are now in a crisis,” Buquicchio said after a meeting with President Giorgi Margvelashvili. His bitter comments Thursday were preceded by similar statement the day before. “I am sad and disappointed because this process was a really promising one. For once, all of Georgia’s political forces and society were in agreement and with our modest advice and assistance we did a good job. Now everything is in doubt,” Buquicchio was quoted by IPN as saying on June 28. 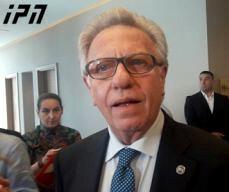 The ruling party and the opposition interpret Buquicchio’s statements each in favor of themselves. 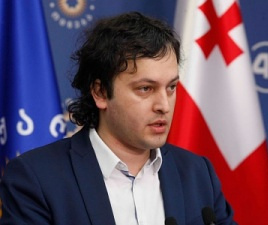 “I would assume that Gianni Buquicchio would be convinced that consensus with our opponents is impossible, and this happened,” Mamuka Mdinaradze, the chairman of the Georgian Dream parliamentary faction told IPN. He pledged to move forward with adopting a new constitution, despite criticism from the opposition. The opposition, however, assumes Venice Commission president’s criticism as directed exclusively towards the government and ruling party. Spokespersons for the biggest opposition parties vowed to join forces to check the Georgian Dream’s drive to ‘usurp power’. Members of United National Movement, Alliance of Patriots and Democratic Movement of Nino Burjanadze were present at the press conference after meeting with Buquicchio, along with some smaller political groups. The draft constitution has already been approved by parliament at two separate hearings, but the opposition demands to withdraw the proposal and resume the hearing process. The Venice Commission is body under the Council of Europe which analyzes legislative initiatives in its member countries, and looks at how they correspond with Western standards. 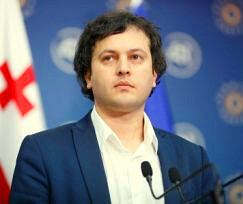 It is not uncommon for the commission’s recommendations to be interpreted differently by opposing political blocs in Georgia.